International Engagement’s MEDUCA 10 students recently visited local schools for teaching training. The students have had in total eight school visits, including Kistler, Heights Murray, GAR, and Graham Academy. At these visits, the students have done observations and teaching exercises. The students have visited the Graham Academy, a special education school in Luzerne, three times so far. This time, the students were split up so one group went to the elementary/middle school and the other went to the high school. For their next visit, the students will switch. Dr. Meghan Feliciani, MEDUCA instructor, spoke about the purpose of these trips. According to Feliciani, the MEDUCA students are taught things like lesson plans and teaching strategies before visiting schools. The Graham Academy had a specialized lesson of the traditional Panamanian dance called tamborito. 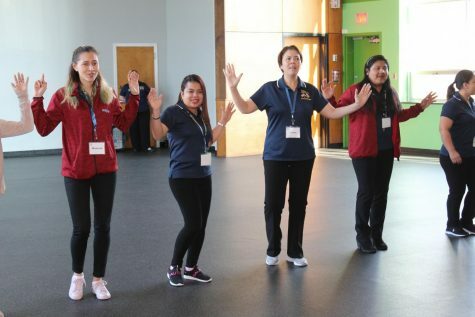 From left to right: Marisel Franco Gonzalez, Sathya Casasola Arcia, Cathur Salomon, and Luricel Garcia Castrellon taught students traditional Panamanian dances. 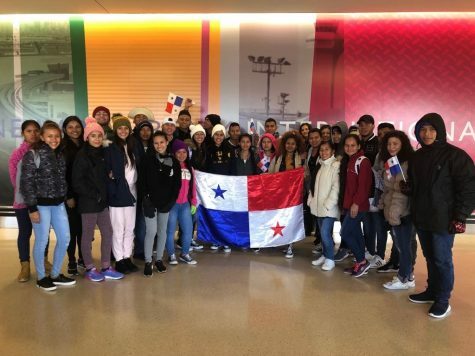 MEDUCA is a program with the International Engagement Office of Wilkes University that brings public school teachers from Panama. Gabriel Rivera, MEDUCA student, spoke about his experience teaching at the school. 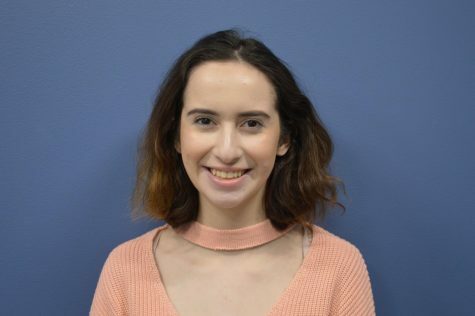 Editor’s Note: Co-News Editor Maddie Davis works for the International Engagement Office as a student aide.